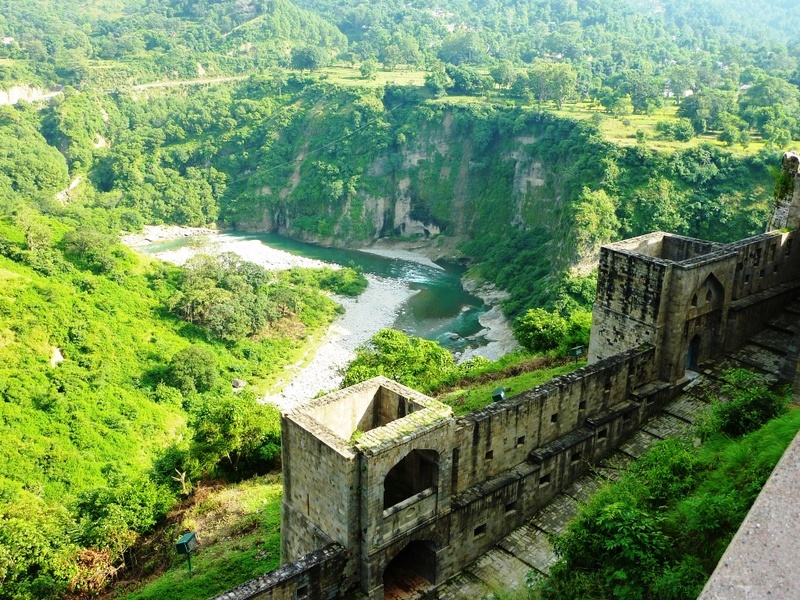 Chamunda is a little station on the Pathankot-Jogindernagar narrow gauge railway track. There’s the Chamunda DeviChamunda Devi Temple Temple here, right on the banks of the Baner River. It is also a pretty picnic spot with a good view of the mountains, the Baner Khad (khad means hillside) and the Pathiar and Lahl forests. The temple is dedicated to goddess Kali (a form of Shakti or power, also goddess of war) in her wrathful avatar (form) of Chamunda. As with so many temples in India, this one too has a legend to it. It has to do with the two demons, Chanda and Munda, trying to harass the goddess Ambika. The duo, followers of the notorious demon king, Shumbh Nishumbh, once set out for the Himalayas with their chaturangini army. Upon reaching here, they saw the devi (goddess) sitting high up on a peak, smiling to herself. Chanda and Munda then flew their arrows at her. Furious at this, Ambika knitted her brows and lo! From their folds emerged this terrifying form of Kali, decked up in a cheetah skin sari (long piece of cloth cleverly draped by Indian women) and a garland of skulls. Kali fought all the demons singlehandedly and killed Chanda and Munda. Pleased, Ambika declared that Kali would now be worshipped here as Chamunda – a compound of Chanda and Munda. That is how the temple is supposed to have come up. Chamunda Devi TempleThe Chamunda Devi Temple is said to be more than 700 years old. 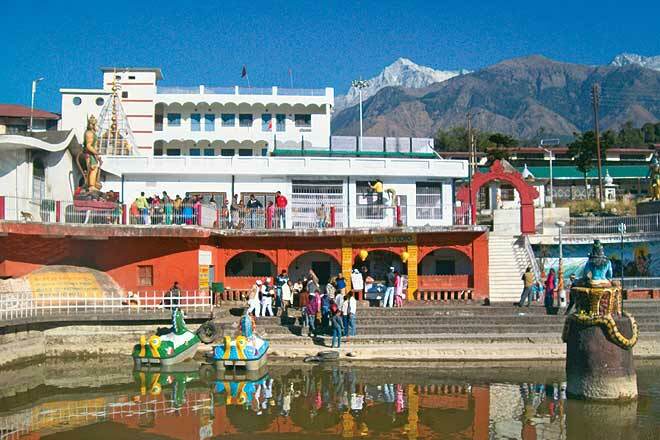 It is a pretty big complex with even a kund (tank) where devotees take a dip. The idol in the main temple is considered so sacred that even the eyes of devotees are not allowed to touch upon it; it is kept completely concealed beneath a red cloth. At the back of the temple is a cave-like scoop where a stone lingam (phallic symbol of Shiva) under a boulder represents Nandi Keshwar (Shiva). There are several brightly painted figures of gods and goddesses around the place. 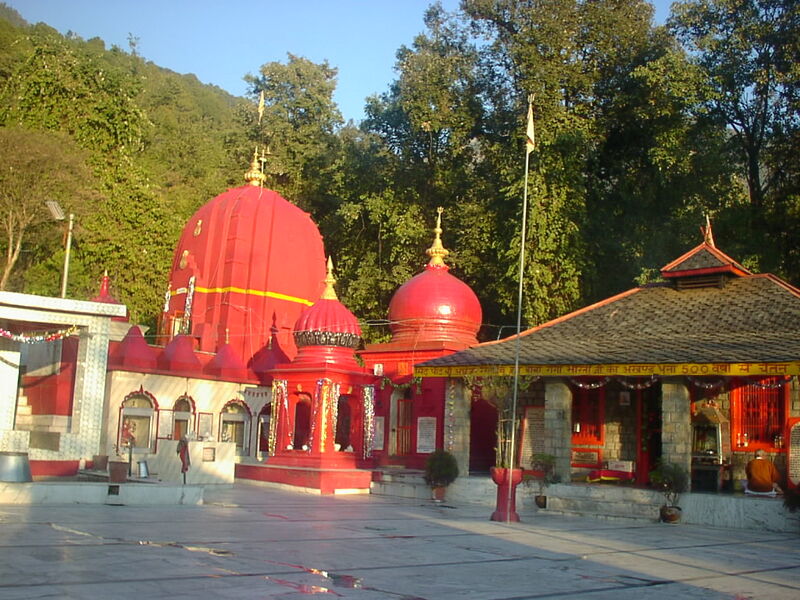 Buses between Palampur and Dharamsala will drop you at the Chamunda Devi Temple on request.